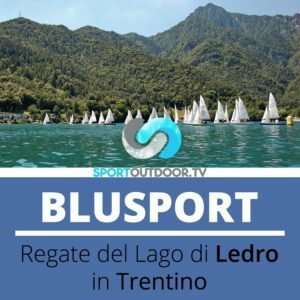 Follow sportoutdoor.tv to see our regattas on the tv! 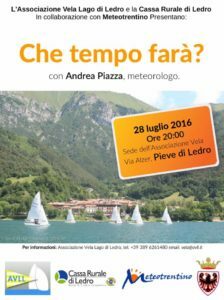 Thursday, July 28th at 20.00 we present, in collaboration with Cassa Rurale di Ledro and Meteotrentino, an evening with weatherman Andrea Piazza to understand how to interpret weather forecasts necessary for outdoor activities, agriculture and tourism. We wait you at the Club! 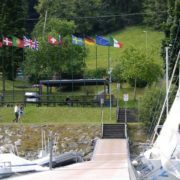 http://www.avll.it/wp-content/uploads/2016/07/OM1.jpg 722 1088 camilla http://www.avll.it/wp-content/uploads/2014/12/Barra-pag-IL-CIRCOLO-670.jpg camilla2016-07-22 11:25:312017-02-08 18:25:35WHAT'S THE WEATHER LIKE? 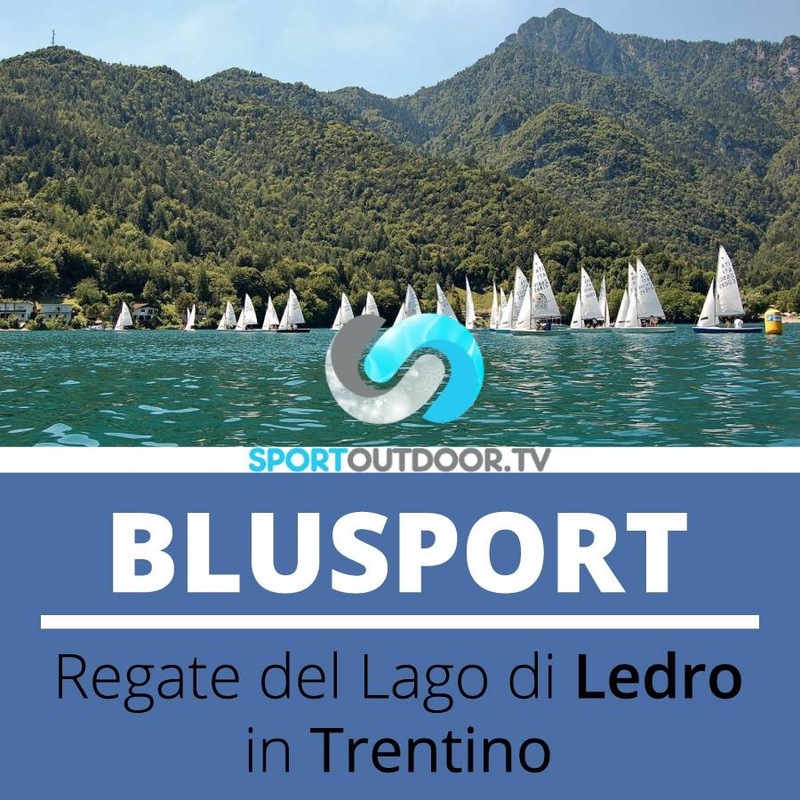 It ended yesterday the “Ledro Snipe” regatta, organized by the Associazione Vela Lago di Ledro, valid for the Zonal Snipe Championship of the XIV zona FIV and the Trophy of Duca di Genova. 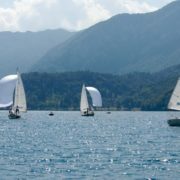 The breeze of Lake Ledro accompanied by a warm sun allowed the sailors to compete in five races. 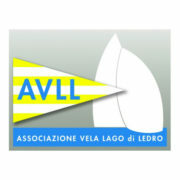 Winner of the Ledro Snipe are Andrea Piazza and Marta Pendesini (AVLL), followed by another dell’AVLL crew, Alberto Schiaffino and Raffaella Cazzaniga, third place for Silvano Zuanelli and Floriana Turning (Associazione Velica Trentina). 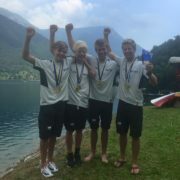 Among the youngest the podium is made up of all boys of AVLL, gold for Boccagni Alessandro and Francesco Rampazzo, followed by Samuel Trentini and Pietro Filippi and Giorgia Lo Re and Francesco Antonioni, won the title of Junior Female AVLL’s girls Cecilia Foletto and Nicole Stefani. 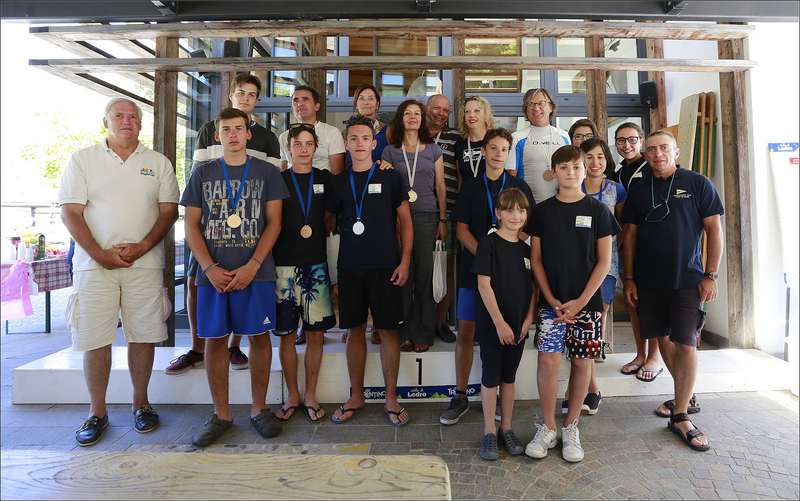 During the prize giving ceremony, in the presence of their families, took place a moment of memory of Renzo Gnuffi and Gustavo Filippi, a volunteer died prematurely last week. 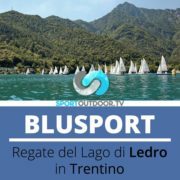 The family of Renzo, who died last year at the helm of his Snipe Starlight, has decided not to award the trophy Renzo Gnuffi. 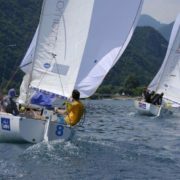 Here the video of “EUROSAF MATCH RACING YOUTH OPEN EUROPEAN CHAMPIONSHIP” ! 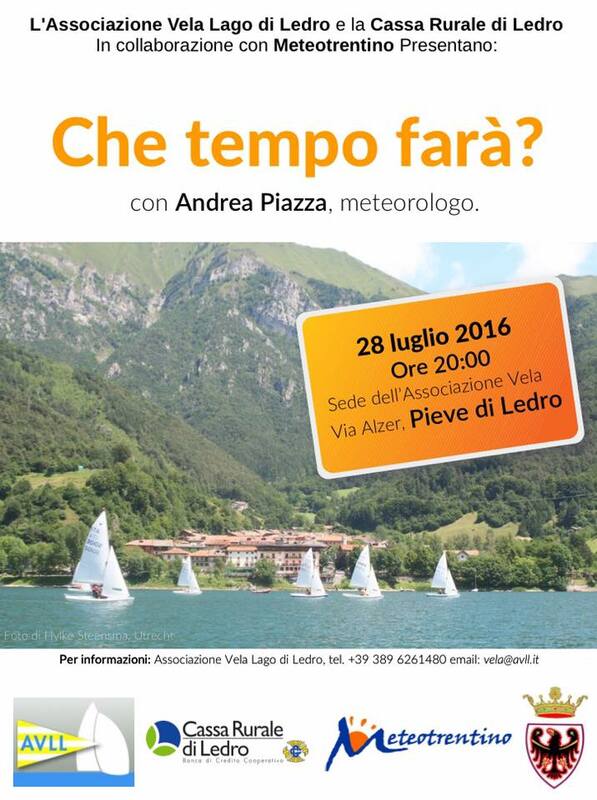 Maria Demadonna, President of the Tourist Consortium of the Ledro Valley, talks about our club in an interview. 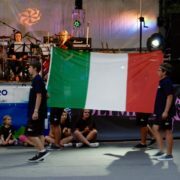 Here the movie of the Opening Ceremony of the Championship. A wonderful night where the sailors were warmly welcomed by the local audience. Yesterday were assigned positions from 5th to 10th place (with format of King of the Castle), today the four finalist teams competed in the petite final (3rd and 4th place) and the final. 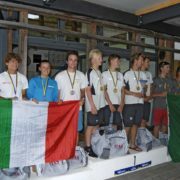 For the final competed Danish Joachim Aschenbrenner and Australian Will Boulden, while the petite final was a clash between the two Italian teams, respectively helmed by Ettore Botticini and Rocco Attili. 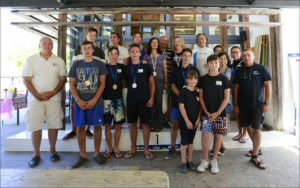 The victory was awarded to the best of three matches, for third and fourth place they needed five matches to assign the bronze to Rocco Attili team, who managed to climb the ranks from 7th place in which it was at the end of the round robin, fourth concludes the Italian team of Ettore Botticini. In the finals danish Aschenbrenner beats for 3 to 1 australian Boulden. Congrtulations to all the teams! 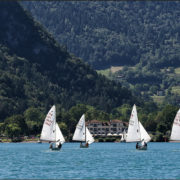 Yesterday morning the ten teams of “Eurosaf Youth Open Match Racing European Championship” began the procedures around 10am, the splendid condition of Lake Ledro allowed to conclude the “King of the Castle”, the quarters and semi-finals. 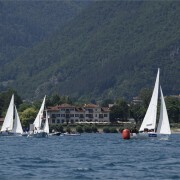 Matches to win the title are ongoing, the class is between the Danish team helmed by Joachim Aschenbrenner and Australian Will Boulden, competing for third and fourth place are the two Italian teams, captains by Ettore Botticini and Rocco Attili. Soon the news for the podium!